Recently I saw the US release of A Silent Voice, a Japanese animated film directed by Naoko Yamada. It is one of the few major animated films in Japan which covers the complicated subject of disability. The film centers around a boy named Shōya Ishida who bullied a girl in elementary school named Shōko Nishimiya, who was nearly deaf. His bullying of her included ripping out her hearing aids, hitting her, and attacking her in a scene reminiscent of a sexual assault. Now in high school, he is trying to make amends for the torment he inflicted on Shōko. One interesting note is that the woman cast as the voice of Shōko Nishimiya in the English release of the film is a deaf voice actress. In a time of more awareness of actors and actresses playing roles representing their own traits, a casting choice of a deaf actress was a step in the right direction towards further representation of disability in animated films. The film opens on a whimsical note and then descends into a sweet and oftentimes heartbreaking story about the long-term damage caused by denying someone their humanity because of something they cannot control. The film focuses just as much on the way Shōko was treated as what the self-punishment Shōya has done to himself psychologically. The film is about regret, loss and finding one’s own value. Shōko hates herself for the burden her disability places on everyone around her; the ripple effects from her lack of ability to communicate in what is common language causes problems for herself and her family. Her signing is inaudible to those around her as are her thoughts. One weakness of the film is in Shōko herself. While the ramifications of the actions of others towards her disability are covered extensively, the audience learns very little about her. Shōko’s personality in A Silent Voice is her deafness. This is one failing of the representation of disability in many films; the disability becomes the character instead of a part of them. While the representation is good to see in the movie, there is still a long way to go. 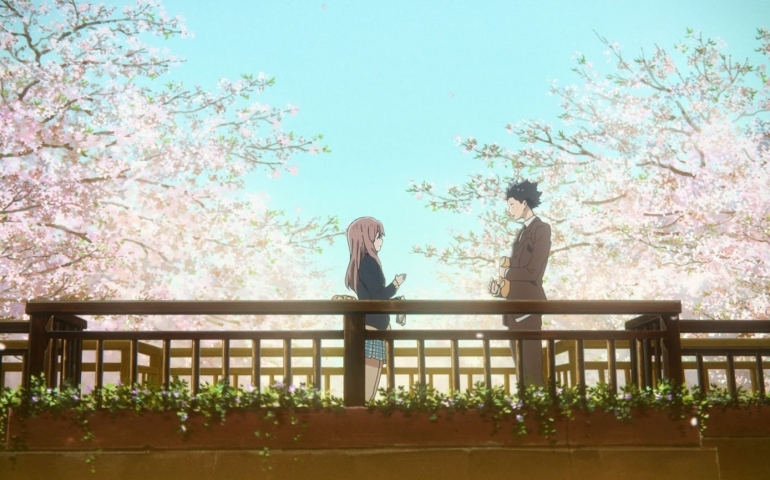 A Silent Voice is a heartbreaking and moving film about life’s mistakes growing up and the consequences of those mistakes. At the heart of the film is a story about redemption and a girl who is deaf finding her voice. Despite the positive elements of the film, it still falls prey to the issues of other films of making a character their disability.